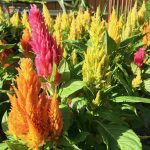 There are few flowers as showy as celosia. 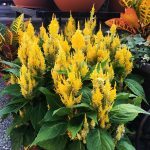 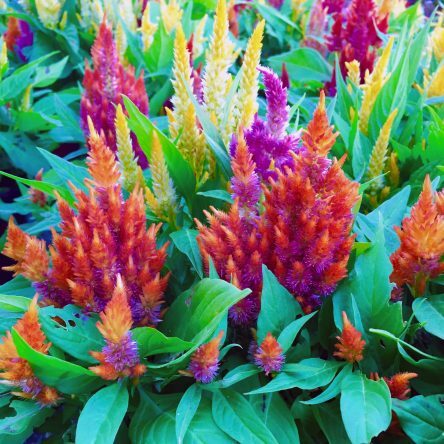 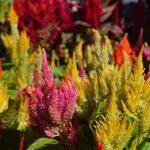 Whether you plant the plumed type, which produces striking upright spires, or the crested type, which has a fascinating twisted form, you’ll love using celosia in pots. 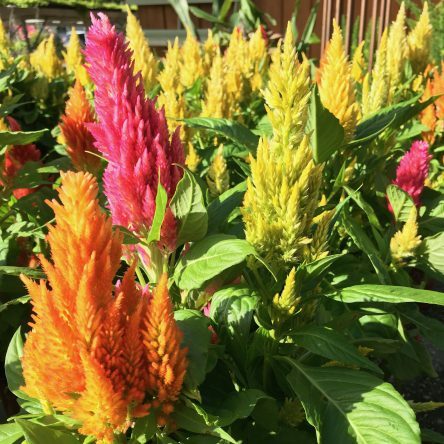 They bloom in all the colors of a glowing sunset.